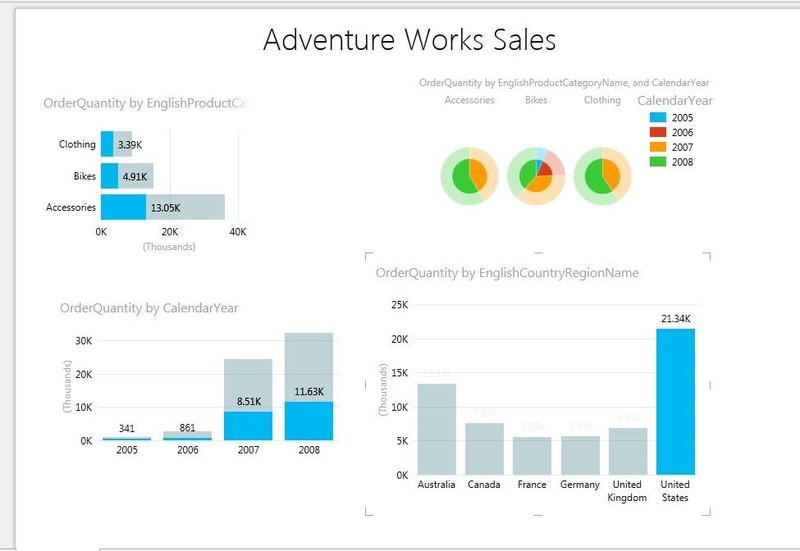 The integration of Power View into Excel 2013 is the biggest news for the BI-functionality in Excel. 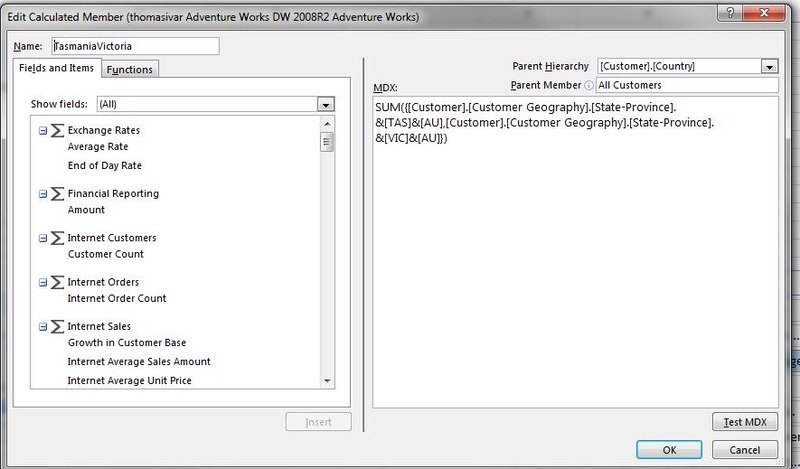 Chris Webb has already blogged about the map functionality in Power View Excel sheets. I will describe a minor improved functionality that is new and useful. Pie charts was not part of the SQL Server 2012 release of Power View in SharePoint 2010 mode. 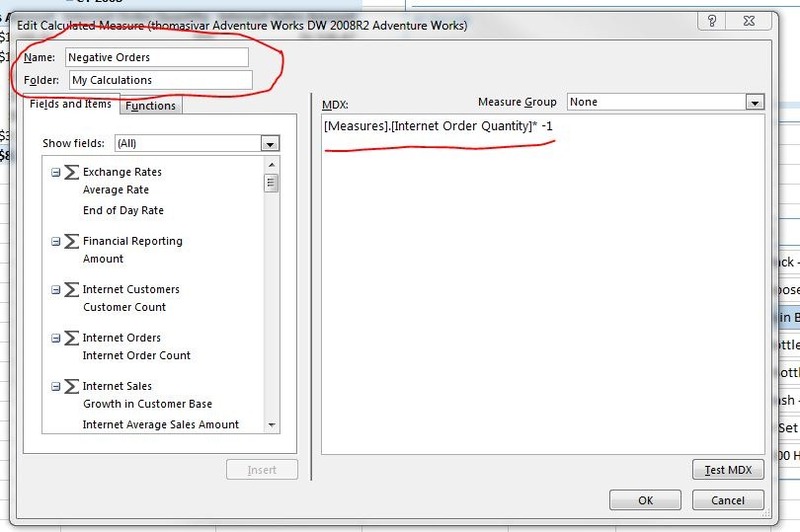 I have built a model in Excel 2013 from relational data in the Adventure Works database hosted in SQL Server 2012. 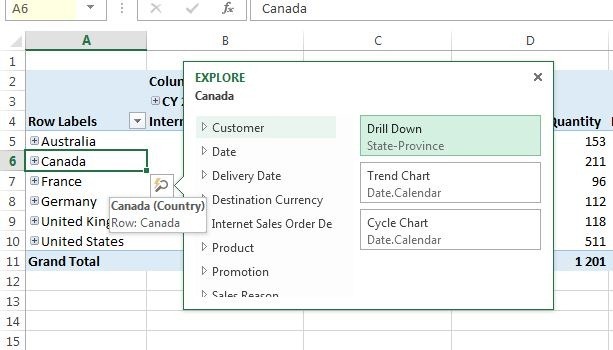 It is a PowerPivot model that automatically gets generated for you when you import data from several tables into Excel 2013. I have a few dimension tables and one fact table above. 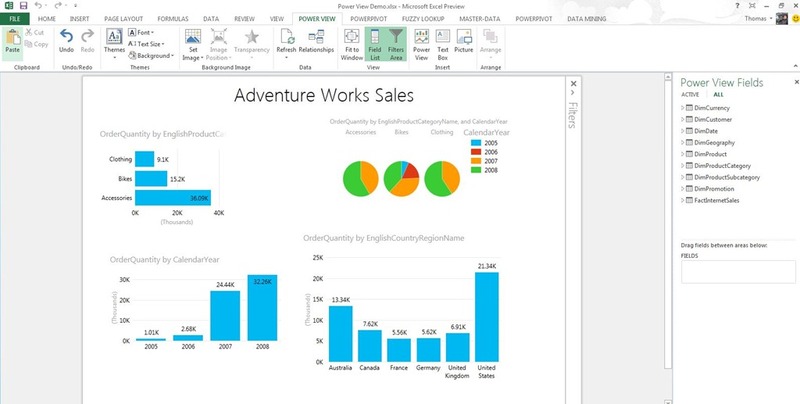 The entire Power View sheet in Excel 2013 looks like this with my pre designed dashboard. 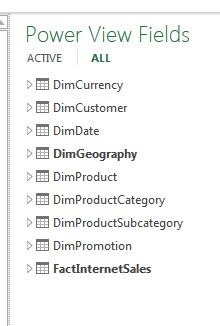 In the world of Power View all report objects that you create are automatically related so if you click on one bar in one chart the other charts will be filtered. 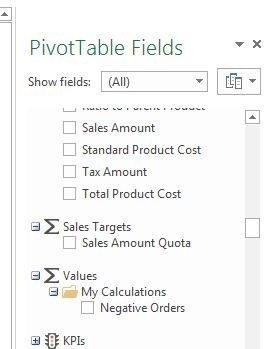 With Excels classic Pivot Tables you will have to do all that join work on your own with slicers. Another thing to realize is that Power View is not a tool with a lot of settings that gets you detailed control of how the graphics work. 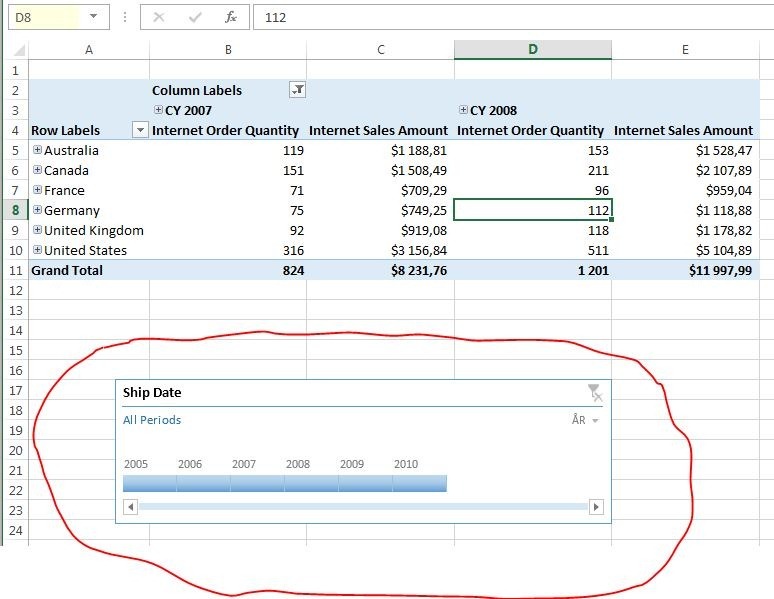 If you need that detailed control and many settings you should stay with Excel Pivot Tables. In the upper right corner you have the pie chart but there is more. If I click on the United States bar in the down right corner the pie chart will look like this. The area in the pie charts will show the United States product categories order quantity during different years related to the total order quantity.